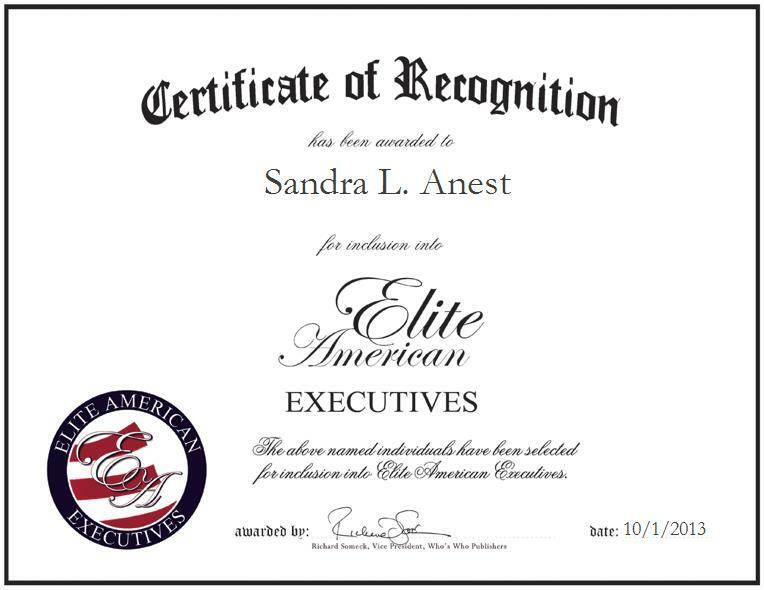 Company: Mecca and Son Trucking Co. Inc.
CLIFTON, NJ, October 1, 2013, Sandra Anest, Chief Financial Officer for Mecca and Son Trucking Co. Inc., has been recognized by Elite American Executives for dedication, achievements, and leadership in financial services. Ms. Anest became the CFO of Mecca and Son Trucking Co. Inc. 18 years ago. She is in charge of handling all the accounting and taxes and supervising the accounting department for this $25 million family-owned conglomerate that consists of 14 S-Corporations, three partnerships, two LLCs and five trusts. Ms. Anest constantly draws on her 50 years of professional experience and her in-depth knowledge of taxes to ensure the company continues to thrive in the market. Aside from her work at Mecca and Son Trucking Co. Inc, she has a small tax practice of about 150 clients, most of who have been with her for 30 to 40 years. Although accounting was not Ms. Anest’s top subject to focus on in college, she took some classes, realized she enjoyed the work and decided to pursue a career in the field. She quickly progressed in the industry and gained a reputation as a strong-minded and knowledgeable professional who believes it putting her clients’ needs first. Ms. Anest attributes her success to her high standards and hard work. Ms. Anest earned a Bachelor of Science in accounting and finance at Fairleigh Dickinson University, and stays abreast of changes in her field through her affiliation with the National Society of Accountants, National Taxpayers Association, NJAPA, NATP, and NSA.